The lure of the tragic, charismatic star is hard to beat, at least for me. I’ve been reading lots of books about dead celebrities; the kinds of people who made quite the impression in their lifetimes and have become all the more fascinating in (tragic) death. These are not uplifting books by any means, but I’m increasingly interested in what goes into the making of a legend. I’m interested in the way we become enchanted by the artists, musicians and performers who move us through their work to the extent that they become godlike to us, worthy of our unending devotion and even obsession. We mourn what might have been. We are reminded of the transience of life. We are moved at the idea of authentic, rare (and often attractive) talent struck down too soon. Born Natasha Gurdin in 1938, Natalie Wood became an icon for her performances in West Side Story and Rebel Without A Cause. Natalie’s mother had a vision for her daughter; one way or another, she was going to be a star. A gypsy had predicted that Natalie would be renowned as a famous beauty and actress but advised that she steer clear of dark water. Natalie’s childhood was sacrificed for her acting work, and she would go on to spend eleven years in daily therapy as a consequence. She first set eyes on future husband Robert Wagner (they actually married twice) when she was just 11 years old. In spite of her learned fear of dark water and drowning, Natalie regularly boarded the Splendor, the yacht she and Robert owned together. We will probably never know exactly what occurred on the Splendor the night of Natalie’s untimely drowning death, but the book does explore the various scenarios that may or may not have taken place. If you’re interested in classic celebrity life stories, check out the superb You Must Remember This podcast. This detailed series looks at the lives of Joan Crawford, Jane Fonda, Jean Seberg, Mia Farrow and many others. This is a meticulously researched book looking at the lives of Tim Buckley and his son Jeff. The two men were extraordinarily gifted musicians who died tragically; Tim of a drug overdose in 1975, and Jeff by accidental drowning in 1997. The book is heavy on the realism, particularly the lengthy section dealing with Jeff’s sad demise, and left me feeling quite melancholic. Rarely has a book affected me so deeply. It’s just so damned sad. Morrison was an intriguing individual, infamous for his outlandish behaviour both on and off stage. Jim Morrison: Life, Death, Legend is an engrossing read detailing his rise to fame, creative abilities and provocative lifestyle, and looks at his death at just 27 years of age in 1971 (followed three years later by girlfriend Pamela Courson at just 24). 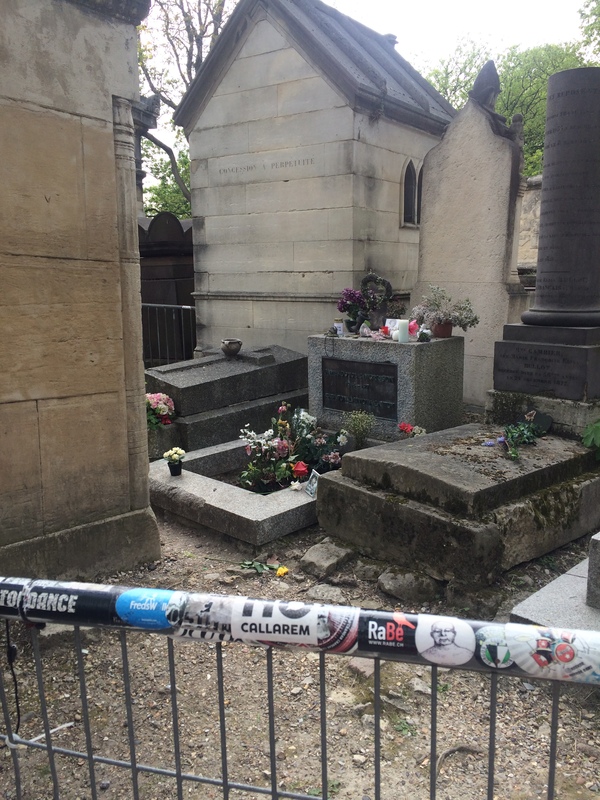 I happened to visit Pére Lachaise Cemetery in Paris earlier this year and went to Morrison’s gravesite, a place of worship for music lovers and the curious alike. A tree next to the grave has thousands of wads of chewing gum stuck on it in crude homage to Morrison and there are small worthless gifts scattered on the grave itself. A Greek inscription on the stone marker is roughly translated as True To Himself, and as expected, there was a small group of people gathered round and smoking weed. In years gone by, a security guard was employed to watch over the site but I didn’t see one on this occasion. Pére Lachaise Cemetery is also the resting place of Oscar Wilde, Edith Piaf, and many 20th century greats. Here’s a a link to a map of the cemetery if you’re planning to visit. New York, NY 10007). 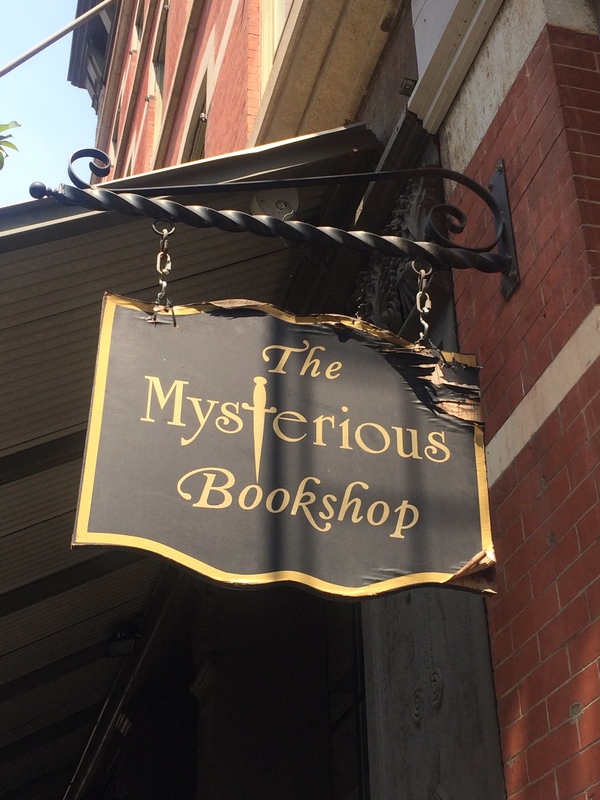 Each and every book in this bookstore is a mystery book or connected to the mystery genre in some way. There’s a true crime section, a section on crime writing criticism, a wall dedicated to Sherlock Holmes, etc. Not only that, but many of the books are signed copies. 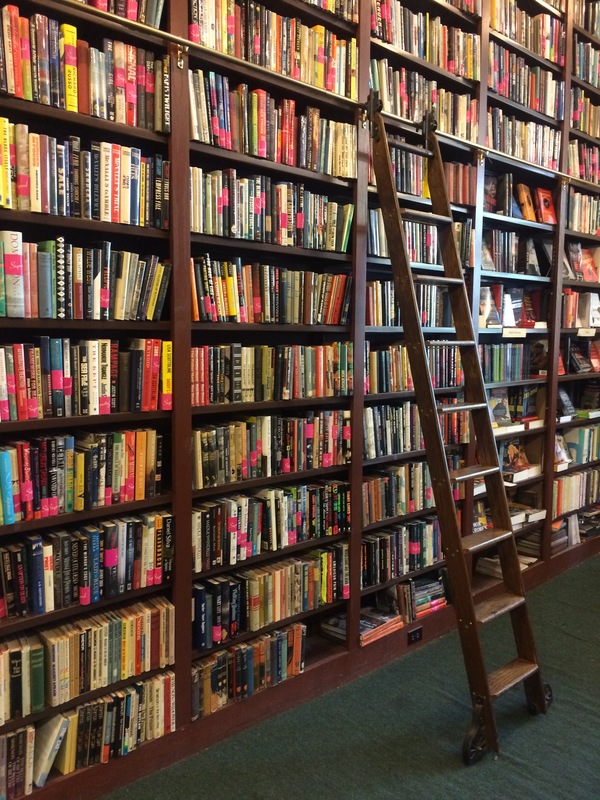 As you might imagine, I was like a kid in a candy shop, piling up books in my arms, and stricken with anxiety at the thought of the luggage limit for my return flight. Next time I’ll be taking an empty suitcase. Morgue: A Life In Death by Vincent DiMaio and Ron Franscell. I read this book from cover to cover in two days. DiMaio brings the reader behind the scenes of infamous autopsies and criminal cases, featuring chapters on the Trayvon Martin case, the exhumation of Lee Harvey Oswald, the West Memphis Three, Phil Spector, and even Vincent Van Gogh (DiMaio puts forward a hypothesis that Van Gogh may actually have been murdered). 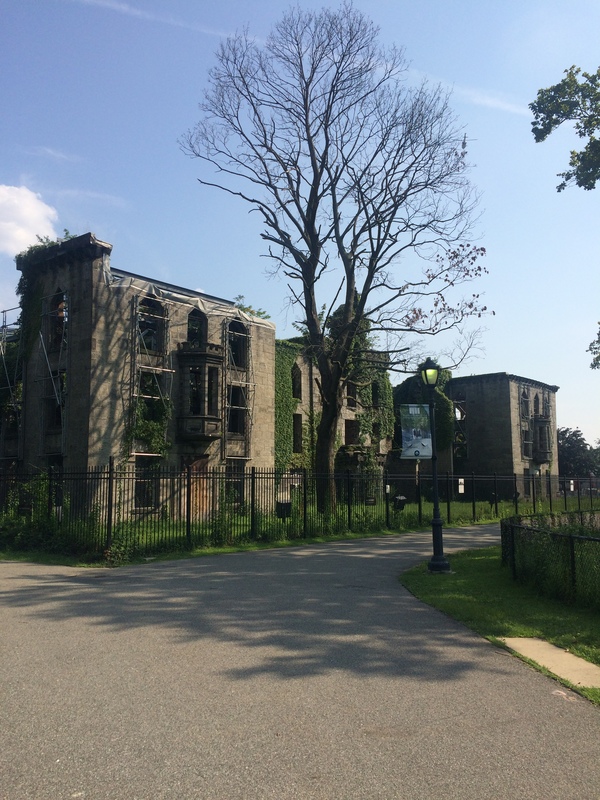 On this same trip to New York, I took a jaunt to the derelict Smallpox Hospital on Roosevelt Island (I’m all about that Atlas Obscura). I also took in the High Line, the Empire Diner, and Chelsea Market (where rich people go to buy raisins on the vine), and as we were staying in the Chelsea District, a visit to Hotel Chelsea was an absolute must. I was disappointed not to go inside as the hotel is undergoing a major refurbishment, but perhaps one day. 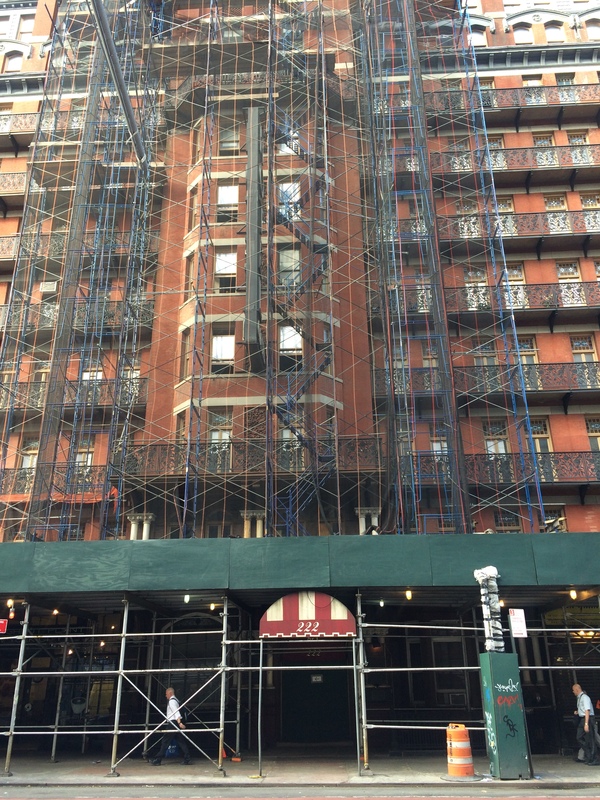 The infamous Hotel Chelsea, former home to individuals like Arthur C. Clarke, Stanley Kubrick, Andy Warhol, Mark Twain and many other marvels. Still, there’s a new book about the hotel called Inside The Dream Palace: The Life And Times of New York’s Legendary Chelsea Hotel waiting for me on my Kindle and that’ll have to do for now. Many people of my generation have never seen Joan Crawford on the big screen. I caught Mildred Pierce at the Irish Film Institute recently and was truly blown away. This classic noir movie with an unforgettable female lead was made in 1945, and it really stands up to this day. Do try to see it (worth it alone for Joan’s magnificent shoulder pads), and you won’t be disappointed. To a certain degree, perhaps. But I’m not sure it’s quite that simple.